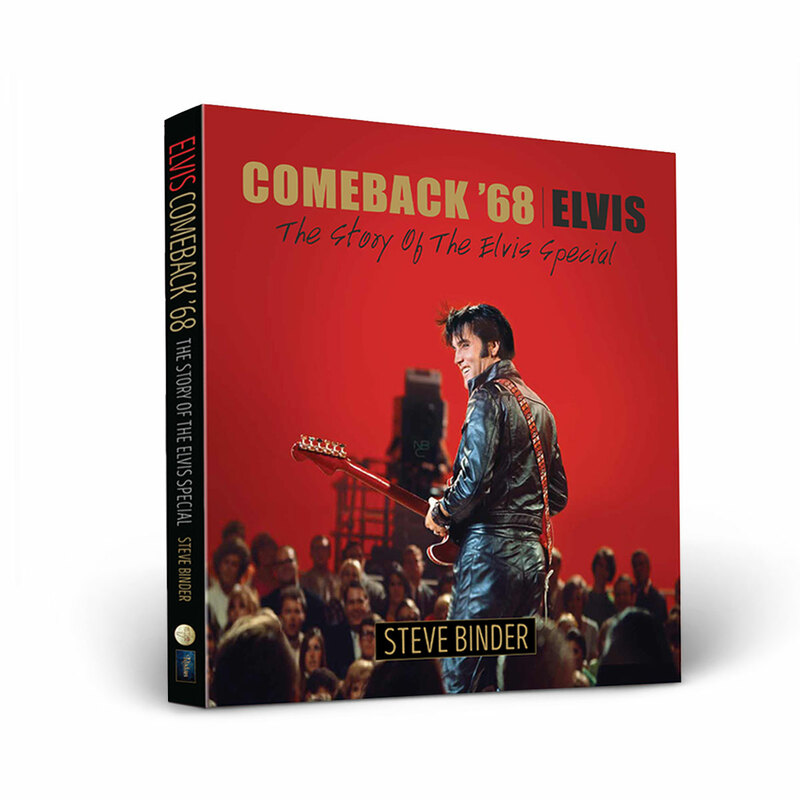 An in-depth behind the scenes look at the making of the ’68 NBC Television Special that put Elvis back on the map, written by director/producer Steve Binder. Filled with never before told stories and classic images, the book offers fresh perspective on who Elvis was as a man and a musician. Binder recounts his tug of war with Elvis’s controlling manager Colonel Parker, shares his personal battle with censors, and poignantly writes a buddy story where he ultimately gains Elvis’s trust. With a foreword by Priscilla Presley, this 180-page commemorative volume is a must-have for Elvis fans. Please note: this item is available for pre-order. All items in your cart will ship within 3-4 weeks. If you would like to receive other items sooner, please place a separate order. Always an Elvis fan since he recorded That's Alright Mama, this book Steve Binder wrote is amazing, it is one of my favorite books about Elvis ( and I have many) &amp; everyone needs it in their collection! I was one of those lucky people who saw the '68 Comeback Special, as it has come to be called, when it aired. I also have the 7 hours of out-takes on DVD, which are priceless! This book adds to the mystique of the man and deals with things which were not known prior to it's writing. I am enjoying the book immensely. Love the photos - crisp, clear. Some I have not seen before. Interesting reading - Just received it yesterday so am still looking at it. The 68 Comeback Special put Elvis on top again. He went all over the country making everyone happy again. Been an Elvis fan forever I always found it interesting that not alot was written about the 68 comeback yes a few pages in books . Binder lived it breeth it was Elvis a book for all Elvis fan and all lovers of rock . I love it! Pictures I’ve never seen before and facts I didn’t know! I’ve been an Elvis fan since I was 5 years old and I’m 65 now and gain more love and excitement for him everyday! September 3, 1970, I saw Elvis in concert and I still can’t believe it! Elvis and Lisa’s duet is one I’m sure he would have wanted to be done. It is powerful, believable and just like the rest of the albumn you feel like you’ve been to church! It’s very meaningful and a timely release.